I still remember that evening of 2011 when I first drove the Volvo S60. My original iPad still has that very car as its wallpaper. Of course, it is far from being anybody's dream car, but the S60 had left me with mighty excited with the way it accelerated. It wasn't the quickest or the most powerful car I had driven, but up until then I had never experienced such rush in a family sedan and that is why it became a part of my core memory. 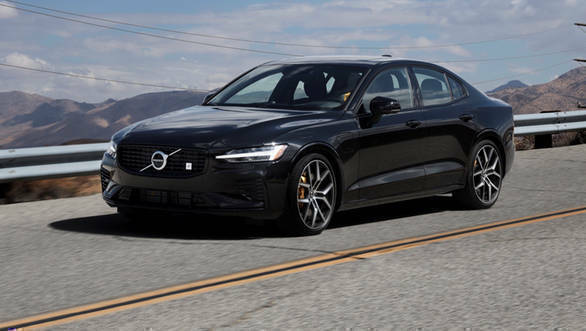 Today my yardstick for excitement has evolved, but I still had this childish anxiety when I traveled to California last month to try out the all-new S60. 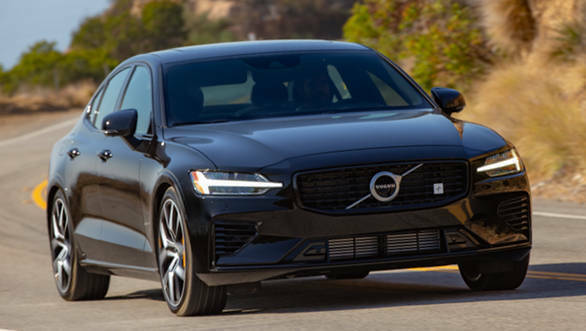 I was eager to find out if it is still an exciting car to drive, or has followed the path of docility laid down by the S90. 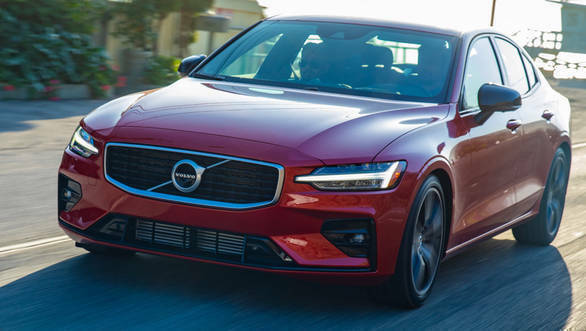 Volvo chose the United States for this drive because the S60 will be the first Volvo passenger car to be produced stateside. And what a perfect city they chose to start driving in - Los Angeles - home to Hollywood and glamour. The S60 feels at home in that atmosphere. Be the sunset backdrop of the San Marina bay, or the jazzy streets around Sunset Boulevard, the S60 fit right in! 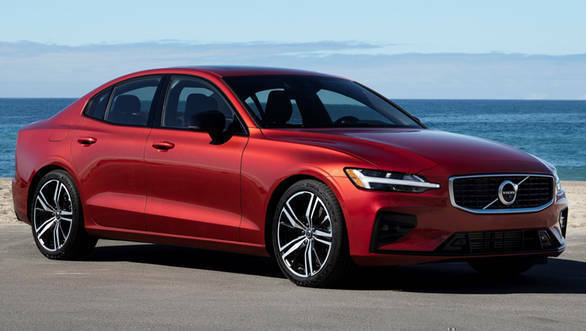 Cut from the same fabric as the S90, the S60 looks gorgeous despite the familiar design bits - more so in the shade of cherry red. Like the XC60, the 'Thor's hammer' detailing in the headlight juts out towards the grille for a slight bit of arrogance on the face. The tail looks gorgeous too with vertically split taillights and twin exhaust tips which are actually functional unlike some of its German rivals. 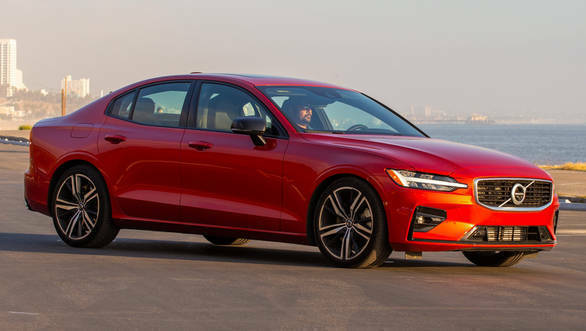 To me, the S60 looks more sophisticated than the XE, A4 or the C-Class, but less radical or aggressive than the new 3 Series or the Lexus ES. What you see here is the R Design trim and that brings with it the black accents in the bumpers and a smoked effect for the headlights. The Inscription trim will flaunt more chrome. Like it's elder siblings, the S60 too is based on Volvo's SPA platform. Therefore the distance between the front axle and the dashboard is fixed and similar to the S90. That gives it a long nose and to balance it out, the new S60 is lengthier than the outgoing car. The wheelbase is longer too and that translates into a roomy rear bench. It isn't as roomy as the Lexus ES, but certainly roomier than its European rivals and spacious enough to attract the chauffeur driven type. The seating is quite low, though. I particularly like the contouring of the rear seats, which seems comfortable and supportive for long journeys and choosing the R Design trim gets you four-zone climate control. The visibility out of the window is excellent. The panoramic roof is standard, but smaller in size in favour of better structural safety. 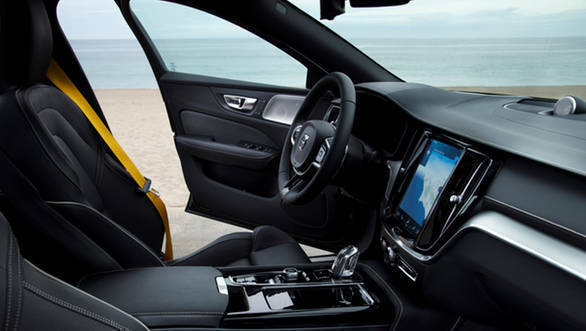 Speaking of safety, the cabin is secured with up to nine airbags and the S60 gets the orthopedic-approved front seats too. These are the same seats you get in the S90, but sans the ventilation and massage functions. Visibility at the front is great too. 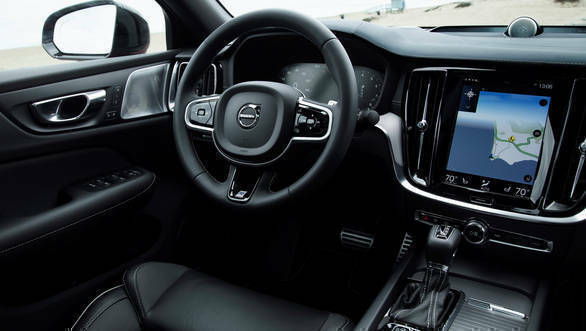 The dashboard is tilted towards the driver for better ergonomics and the layout is similar to the new Volvo cars. The stitched lining on the panels, the optional wood or aluminium inlays and the Nappa leather upholstery, elevate the premium feel of the cabin. The common infotainment system now gets updated hardware with S60. While the layout is still the same, the system claims to have faster processing power, reducing the lag that we often complained about in other Volvo cars. Even the digital instrumentation is noticeably faster when cycling through its menus. You get a conventional gear selector when you opt for the T6 petrol models, whereas the T8 gets a stubby digital gear selector similar to the one seen in the XC90 T8. The T8 also has a larger tunnel console with lesser storage spaces, courtesy of the battery pack that sits underneath. Speaking of drivetrains, there are three primary variants to choose from - the base T5, the mid-level T6, and the range-topping T8 plug-in hybrid. The base T5 is powered by a 2.0l turbocharged four-cylinder engine that puts out a humble 250PS of power. Unlike the previous 3.0 six-cylinder unit, the new T6 now uses the same the 2.0l four-cylinder petrol as the T5, but soups it up with twin charging (turbo and supercharger) for a lovely 310PS/400Nm output. The T8 is the plug-in hybrid model in which the T6's twin-charged engine in complemented by a 65kW electric motor for a combined output of over 400PS! Volvo is moving away from diesel and that clean up begins with the S60. All the petrol engines boast of CO2 emissions ranging from 48 to 204g/km. The one with the relatively high emissions is the T6 of course, given its performance intent. It goes from naught to 100kmph in 5.6s - which is almost a second quicker than the outgoing car and 0.2s quicker than the all-new 3 Series 330i. Exciting! But in all likelihood, Volvo may not bring the T6 to India - at least not to begin with. We have a whiff that it's the T8 that the new S60 will begin operations with and that would make perfect sense. The hybrid propulsion ensures better driving range or fuel economy than an equivalent diesel while being cleaner and greener. What pushes the boundaries further is the S60 T8 tuned by Polestar, which bumps out the combined output to a staggering 412PS. With the engine powering the front wheels and an electric motor powering the rear, the T8 Polestar creates a performance-oriented all-wheel-drive system. When the two sources put the power down in tandem, the T8 Polestar accelerates from naught to 100 is 4.7s - mighty quick for a sports sedan! The Polestar variant also gets all top drawer equipment on complement the performance. 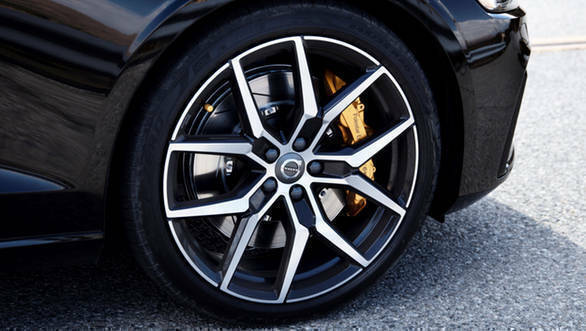 There are Brembo brakes with six-piston callipers up front and four-piston at the rear, performance pads, and cross ventilated rotors at the front. The 20-inch rims are shod with Pirelli P-Zeros and the suspension features the dual flow rate dampers for Ohlins. They are also mechanically adjustable for rebound rate, should you decide to take the car to the track. There is no electrically adjustable suspension available on the Polestar, simply because electronic suspension would not be as responsive as Polestar would have liked. And I would agree. 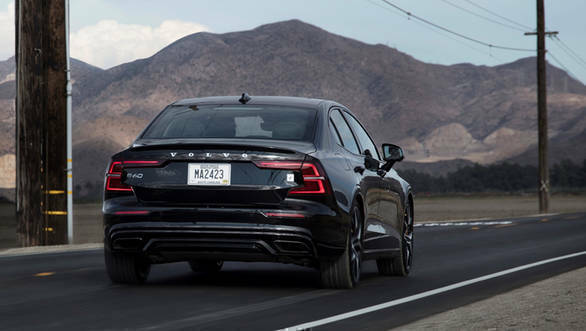 Even compared to the air suspension on the regular S60, the Polestar's setup feels more supple over imperfections in the road surface. Around bends, it has noticeably lesser roll and pitch. Dial in the sports mode and it will also give you a near flat ride when you push the car hard around bends. It isn't as precise as an M3 or as manic as a C63. It is more comparable to the likes of the C43 AMG - but without a shouty design. It's quite a sleeper, then. The only fly in the ointment is that this sports sedan doesn't sound the part - no crackles, no pops, no spine-tingling roars. It has a bassy grumble but that's about it. But it makes up for the lack of aural drama with its quick acceleration, fun dynamics and low emissions - which should make it a tempting deal if priced right. It remains to be seen if Volvo considers the Polestar variant for India when the S60 arrives into India by mid-2019. The regular T8 is quite a package too, given its styling, safety quotient and radar guided assistance systems and has the potential to make some waves in the mid-size luxury sedan segment. 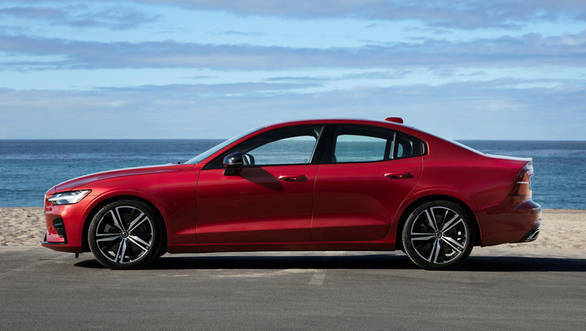 And to answer the question we began with, yes, the new S60 is very exciting to drive! The new T6 pushes the envelope further and it's a serious contender in the sports sedan space. But surprisingly, T8 with its hybrid propulsion is even better, quicker and more involving to drive and it certainly needs your attention if you are shopping in this space.